Sayang. 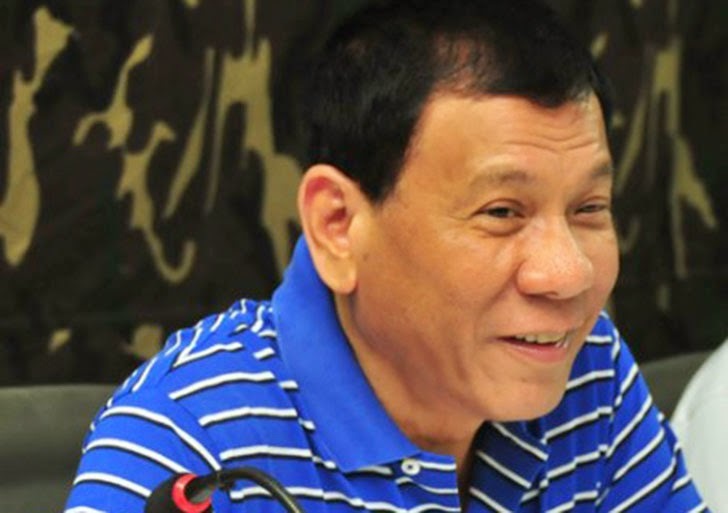 Davao City mayor Rody Duterte's plans should he run for president in 2016 and win are amazing, but he already mulls of retiring from politics. During the flag-raising ceremony at the PNP headquarters in Camp Crame in Quezon City last November 10, where he was a guest of honor, the local chief executive told reporters that he plans to retire and would let his daughter Sara to run for the mayoral post, PhilStar.com reported. If Duterte becomes president and still cannot get the reforms he wants, he will declare a revolutionary government. If there's no improvement in services, he will shutdown several government corporations and privatize the Social Security System (SSS) and the Government Service Insurance System (GSIS). If they will continue with their corrupt ways, Duterte said he will likewise privatize the Bureau of Customs (BoC). The moment he sits in power, all generals will be considered retired, retaining only about 40 of the best and brightest in the military. If leaders of leftist groups want a coalition government, Duterte said he will put National Democratic Front (NDF) chief negotiator Luis Jalandoni at the Department of Agrarian Reform (DAR), and Communist Party of the Philippines' (CPP's) Jose Maria Sison will head the Department of Social Welfare and Development (DSWD). Duterte reportedly said those from Manila might refer to him as an extremist. "I am an extremist, but if you want to see how extremism can bring in jobs, then look at Davao," he said. "I will not allow oppression and abuse in my government." Now here's a video taken during the 29th anniversary celebration thanksgiving and worship presentation of Pastor Apollo Quiboloy's Kingdom of Jesus Christ held at Jesus Christ Open Field in Davao. In the middle of the video, Duterte revealed his plans for members of the Philippine National Police (PNP), whom he said are "the ones facing danger everyday." The city mayor said police officers with lower ranks will be given a basic pay of P50,000 and P30,000 allowance for a total monthly income of P80,000 while high-ranking PNP officials (generals) will receive P300,000 basic salary and 200,000 allowance for a total of P500,000. Their children's education is free from kindergarten to high school, he added.